[i am a dekaphobic]: 1780 by SariSari: The Hidden Gems of the Philippines in 1 Website! South Tropic's wines carries a variety of wine flavors: mangosteen, passion fruit, durian, jackfruit, pineapple, dragon fruit and many more. These products are beautifully-packaged, and quite fitting to be given as gifts this holiday season. These are a few artisan products that can be purchase via the website. Visit their main portal http://www.sarisaristore.com and their sub-portal at http://www.sarisaristore.com/1780/index.php to order. Thanks to Geiser-Maclang for having us. 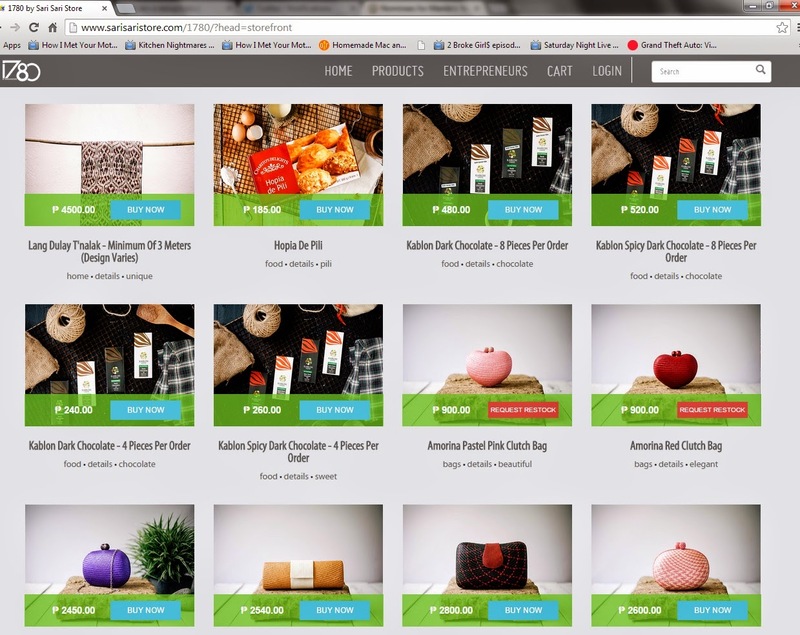 I'm glad that there are initiatives that help uplift Filipino products. We really need to love our own and stop patronizing foreign brands.